We all know that the private key is the most critical thing to manage and control cryptocurrency. For all the digital currency users, private key means ownership, and you can control your corresponding cryptocurrency assets only when you hold the private key. In short, if you lose your private key, you will lose your cryptocurrency assets. The generation method of the private key is completely random, it has 64-th power of 16 times probabilities, that is, 256th power of 2, one wallet has only one private key and cannot be modified. Normally, the probability of that two persons have the same private key is almost zero. But the form of private key is so difficult to store and memorize, then there comes memorizing words tool. Mnemonic phrase consists 12-24 words, a mnemonic phrase can generate an infinite number of private keys. It can be understood that the mnemonic phrase is the root of a tree, this root can have many branches, every leaf is a private key, Different cryptocurrencies in Cobo wallet are different branches, that's why a mnemonic phrase can manage all the wallet addresses under the HD account. In other words, the mnemonic phrase is another form of private key, it converts a 64-bit private key into several common English words to be easier to memorize. When you create Cobo HD wallet, there will be a function to back up mnemonic phrase. Click on <back up >, enter PIN number, you can see 12 words, that is mnemonic phrase. One HD wallet should only have one mnemonic phrase and could not be modified. PLEASE!!! RECORD THIS MNEMONIC PHRASE IN A SAFE WAY!!! AND AVOID TO DISCLOSURE!!! Sum up it briefly: Cobo HD wallet is designed by BIP44 protocol rules. 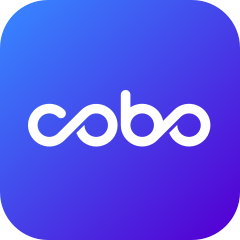 It makes Cobo HD wallet very powerful. Users only need to save the mnemonic phrase to control all the cryptocurrencies in your wallet accounts. The mnemonic phrase generates private key, the private key is used to authorize the management of digital assets; backing up mnemonic phrase is backing up private key. HD wallet users hold their own mnemonic phrase, and Cobo HD wallet does not store any users' mnemonic phrase and private keys.